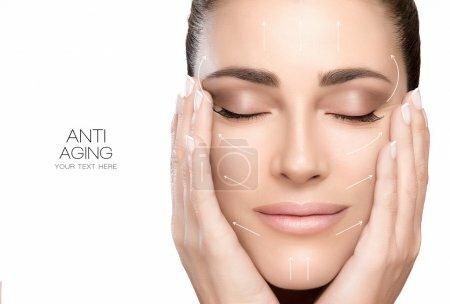 Anti aging treatment and plastic surgery concept. Beautiful young woman with hands on cheeks and eyes closed with a serene expression and white arrows over face. Perfect skin. Portrait isolated on white with copy space for text.